Although flaky, brittle patches of dry skin tend to be synonymous with the cold winter months, parched legs, arms and hands are prevalently frustrating issues faced by men and women alike year round. And according to RightDiagnosis.com, an estimated 9 million Americans are so plagued by the chronic condition that they’re forced to seek professional medical help each year. While the causes for parched skin are plentiful (ranging from indoor heating and cooling to improper nutrition), there several ways to combat the itchy condition with ingredients concocted in your own kitchen. Though you’re likely to find a slew of home remedies for dry skin, one plant in particular is making serious headway in the skin treatment and cosmetic realms: aloe vera for dry skin. 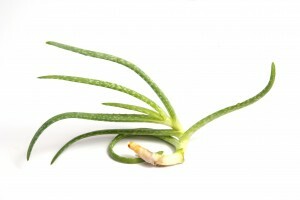 Discover the secrets behind – and recipes for – concocting a homemade remedy of aloe vera for dry skin. 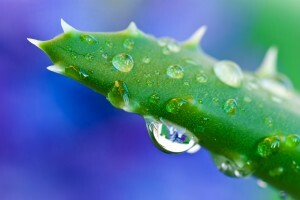 Why Use Aloe Vera for Dry Skin? 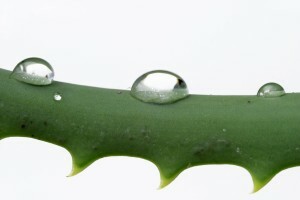 Although aloe vera as a healing and beautifying agent has gained much of its traction in recent decades, the green plant’s mineral-enriched juices were said to have first been used in ancient Egypt in 3500 BC. Reportedly, ancient Egyptian women used the green plant’s gel to inject moisture to their skin and help preserve a luminous, youthful glow. Fast forward thousands of years later to 2013, and civilizations across the globe continue to seek the vast replenishing and skin-nourishing benefits behind the aloe vera plant – especially when concerning aloe vera for dry skin. And there’s really no wondering why – aloe vera is comprised of nearly 18 amino acids and is filled to the brim with essential beautifying minerals, enzymes and potent anti-oxidants, including several vitamins like A and B12. 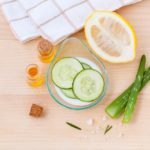 While there’s still merit for applying the plant’s virgin juices to hands, legs and arms to replenish moisture, there are a few hybrid recipes of the straight juice that tend to stimulate a more enhanced glow. Begin by heating half a cup of water and half a teaspoon of borax on a stove top until it’s boiling. Remove the lid and let the mixture cool to room temperature. Next, heat up one cup of organic coconut oil in a separate pan until the oil turns to liquid. Remove the lid and let the mixture cool to room temperature. Pour the cooled mixtures from both pans into a single mixing bowl, and combine with ¾ cup aloe vera gel and 5 drops of essential lavender oil. Apply directly to face, and leave on for roughly 20 minutes. Rinse with warm water and then splash with cool to lock in moisture. Combine aloe vera gel, almond oil, avocado oil and rose-hip seed oil (or olive oil) in a mixing bowl. Apply the concoction after taking a long, warm bath to penetrate your pores with moisture.